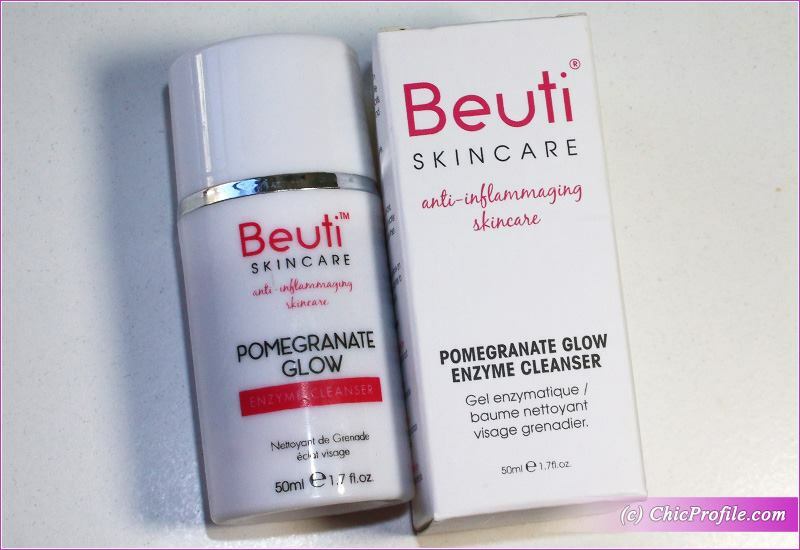 It was about time to review Beuti Pomegranate Glow Enzyme Cleanser after I’ve used it back in December. I told you about this product back in November when I paired it with Beauty Sleep Elixir Facial Oil. I’m all about trying new cleansers and this one seemed a bit more special than the other. 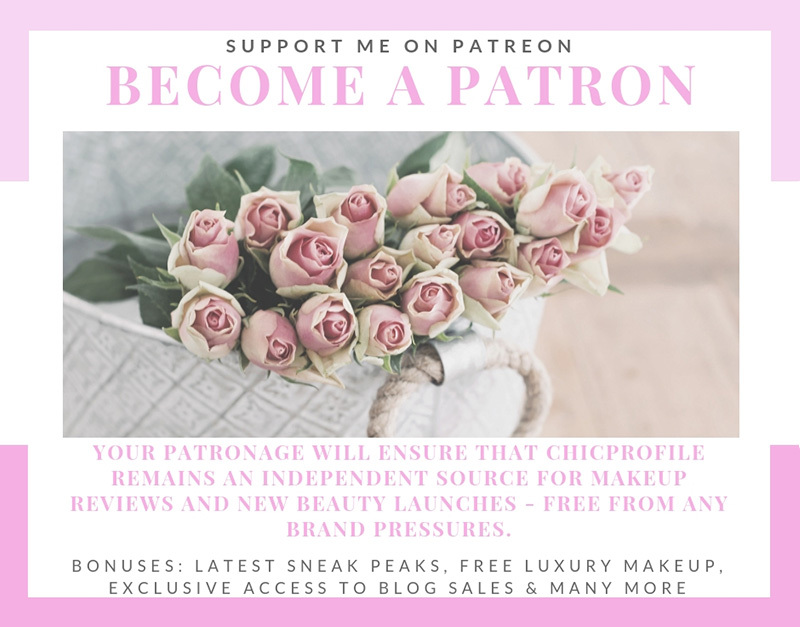 My skin is combination so keep this aspect in mind when you are reading my review. 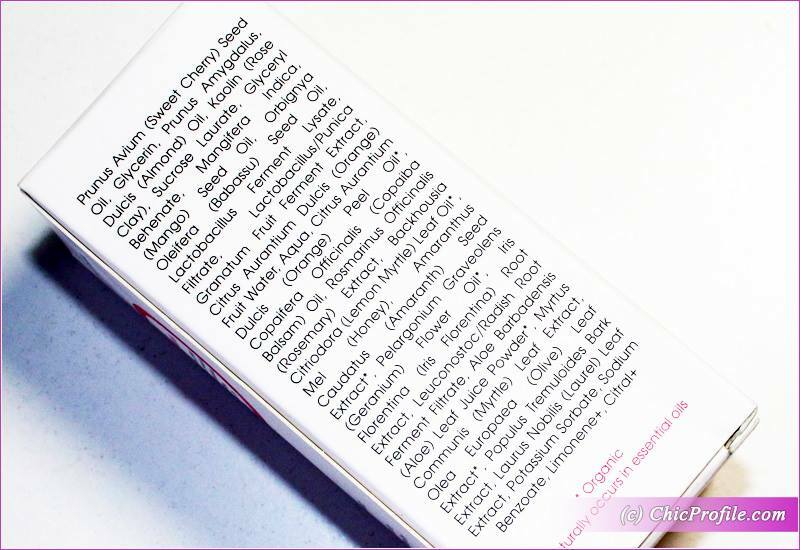 Pomegranate are one of my favorite fruits so I could already smell them in this cleanser when I first read its name. 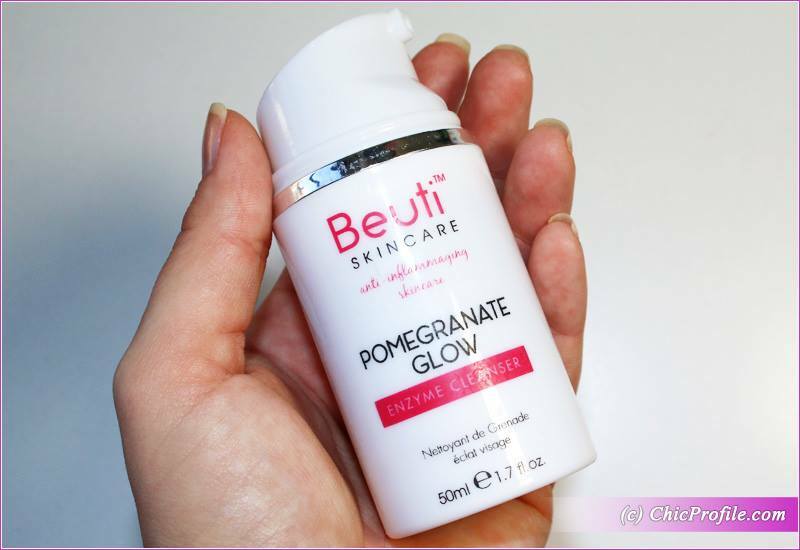 Beuti Pomegranate Glow Enzyme Cleanser (£35.00 for 50 ml / 1.7 fl oz) is a fermented pomegranate gel balm hybrid cleanser that acts like a gentle glycolic acid to remove dirt and debris. Your skin is left super smooth, clean and glowing. You can use it in two different ways: as a cleanser or a mini facial. It is suitable for all skin types, including sensitive ones. This is great because it makes it an universal cleanser so no argument here. 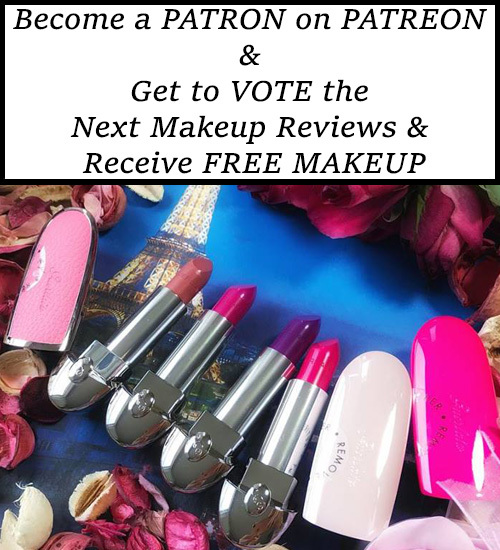 Apply two pumps onto face and work into skin. Apply a small amount of water to create a milky lotion and then rinse. I basically used it this way every morning for over a month. I kept it in my shower so it would be easy to grab it in the morning and wash my face. Apply generously to face and leave on for 2-5 minutes to allow the enzymes to get to work on dull skin. I did this step too about two times a week in the beginning. I have say I preferred to test it and use it as cleanser. First let’s get the packaging out of the way. It comes in a white and opaque plastic bottle with pump. I’m a fan of the pump dispenser for skincare and foundations as well so all good here. Unfortunately I didn’t get along quite well this type of packaging. Everytime I pressed the pump only a little amount of product came out and was not enough for a single application. I had to apply the pump 2 or 3 times to get enough product. The smell is really pleasant do to its citrus oils and geranium oils. I have to say it’s quite a refreshing and pleasant smell for a cleanser. On the other hand these ingredients may irritate your skin if you are very sensitive. If you came across these ingredients before and you are used to them in your skincare products then is fine. As I said, I used the cleanser every morning for a while and it never irritated my skin even though I’m also sensitive. It gently cleaned my complexion, removed impurities and all traces of dirt. My skin was indeed feeling soft but a bit oily at the same time. It’s just not one of those cleanser that turns into foam when you apply it. I like how gentle it felt on my skin but I didn’t like the oily foil it left behind. I don’t know if this happened to others as well but this is an oil-based cleanser so it can be a bit too much for my combination skin. After I used it, my complexion was looking so glowy. It can be more beneficial for those with dry to normal skin perhaps. I’m curious if anyone with oily or combination skin used this and how it performed. 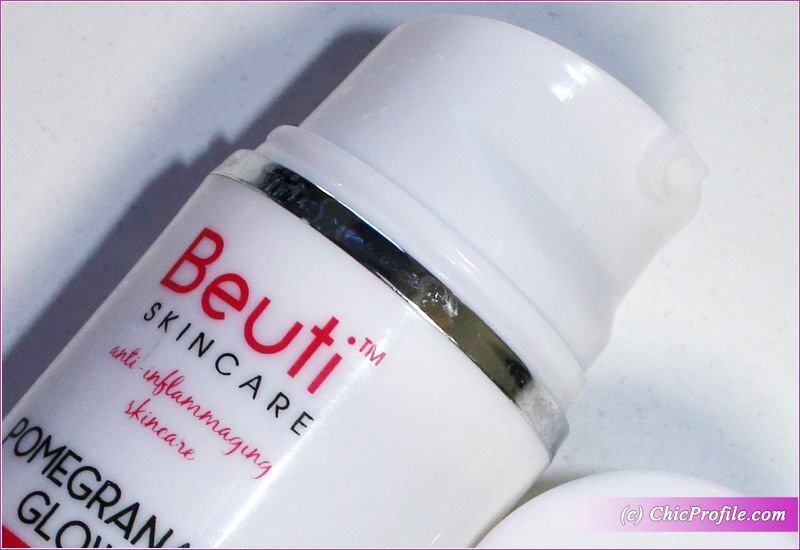 Beuti Pomegranate Glow Enzyme Cleanser has fermented pomegranate in its composition (totally different than pomegranate). The brand says it works like glycolid acid and gently exfoliates skin, leaving it smoother and brighter. If we were to talk about pomegranate (and not fermented pomegranate) I’d have told you it is an amazing ingredient. It works like retinol by thickening the skin, protects again UV-induced damage so less wrinkles here. These are just a few of the things pomegranate ingredient does, but as I said we are talking about fermented pomegranate here. 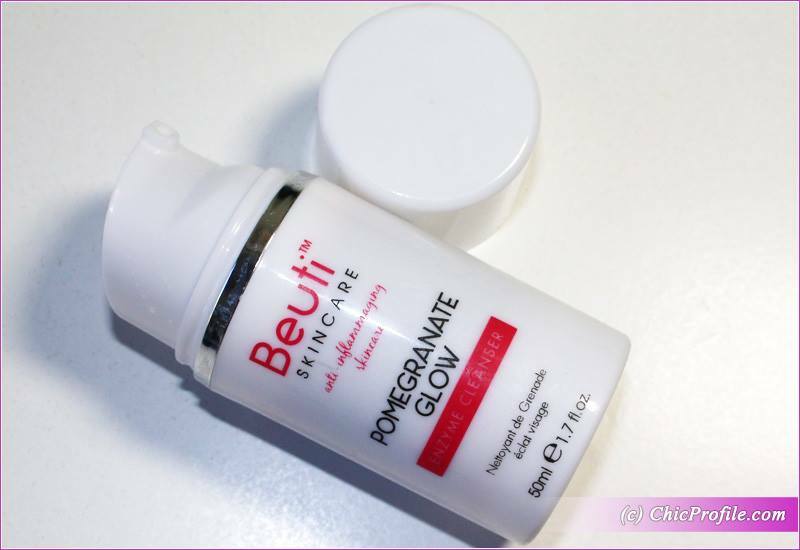 Beuti Pomegranate Glow Enzyme Cleanser is a fermented pomegranate gel balm hybrid cleanser that acts like a gentle glycolic acid to remove dirt and debris. Swiss Line Water Shock Soothing Lotion – Review!